Do you want to find your potential? Do you want to discover your true potential because you are tired of just existing instead of thriving? Have you gone through life accepting that “it is what it is”? Do you feel like you don’t have enough support, money, or other good circumstances to change it for the better? One sad truth to realize is how accurate it would be to assume that most people have never truly fulfilled their potential. Through the negative input that we read, hear, and tell ourselves, we lose the courage to ask for more out of life. Find Your Potential: Are you settling? Many of us have settled for things we didn’t want, at least for a time. This is simply because we were too afraid to pursue anything better. Worse yet, we as humans are naturally so skilled at justifying anything and everything in our minds, that we invent fables, limiting beliefs, and “reasons” why we can’t have what we want. Even though these lies can be dispelled, many of us tell ourselves we don’t have time, even when we each are given the same 24 hours in a day, and a variety of tools at our disposal to plan those hours. When we actually take the time to change our mindset, we still fear the hard work it would take to get where we want to be. Besides that, many of us even fear the idea of success itself! For one fear or another, we either don’t pursue greatness in the first place, or we reach some level of greatness and stay comfortable within it, never growing beyond it. Regardless of the great things we may achieve in a lifetime, it’s important to understand that there is always room to grow, and we can always keep reaching for more and more distant stars! To realize your true potential in life is to have true courage. There is no denying the fact that you can’t grow or advance without leaving your comfort zone. Whether we’d like to admit it or not, the people we look up to and see as being successful didn’t get where they are without experiencing some amount of pain or discomfort along the path. Are you ready to find your potential? Reach out now to work directly with me in online life coaching! 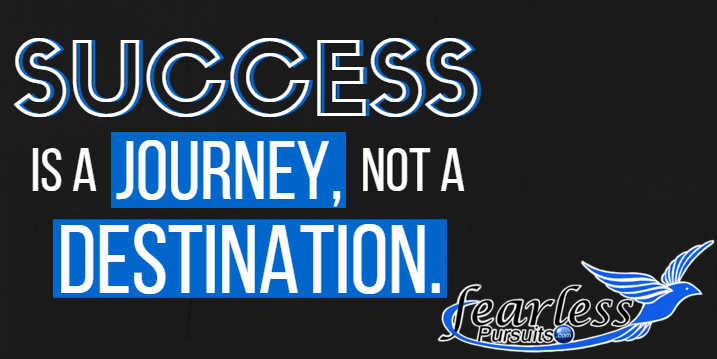 Find your potential through a journey of a full life! During the time that I spent working as a skincare professional, I instinctively knew that I was not living my real purpose, and I was definitely not reaching my true potential. I could see that I had room to grow, but I was frightened by what it would take to do that. So I stayed in it for as long as I did because I took comfort in the good money that it brought me. Just like the majority of society today. I knew that I had the potential to do more for the world than cure acne or tighten wrinkles. Even still, I know that I can be so much more. All of us can! So what’s the biggest difference between now and then? The difference is that now I am constantly looking for ways to push myself, and you should, too. Because each of us deserve more than to settle for being ‘good enough’. You have to begin the journey to find your potential before you can ever truly understand how fulfilling and exhilirating life can be. You were put on this earth for a much bigger reason than just to survive another day. I’m not suggesting that I’ve never taken the easy way out, by seeking short term pleasure over long-term gain. Of course I’ve done that before. Sometimes, I still do, and that’s okay. But over time, and with practice, I’ve gradually improved at seeing the big picture, and so will you. So maybe you don’t altogether feel like a total loser. I sure hope not, and if you don’t, I am happy for you. Really, I am! That’s a win that deserves recognition. Without living a life designed around your purpose, you will never experience your potential, and there will always be that void that sits at the back of your mind – that nagging emptiness that makes going about your day feel that much more grueling. One of the most tragic human emotions to experience is regret. If you learn how to realize your true potential now, your only regret will be not finding out sooner! When I sold my spa business, I felt the temporary pain of letting go of all that hard work. Still, I knew that it wouldn’t come anywhere near the long-term regret I’d have if I’d kept it forever. This is exactly what so many people don’t realize until they’ve gotten “too old” and feel like it’s “too late”. Many even realize it early on, but don’t act on it out of fear! It was the very same thing when it came to moving to all of the many cities and states that I’ve seen in my lifetime. The fear of regret, and the cliche but wise saying, “You’ll never know until you try it,” was what drove me to explore my options. It’s important to realize that the temporary discomfort of hard work or struggle is nothing. Especially compared to living out the rest of your lifetime wishing that you’d truly tried to find your potential. I did fear the discomfort involved with moving. Uprooting, having to get to know my way around all over again, and all the stress of the planning and packing… Staying true to what I wanted, and how I’d feel if I never tried to find it was enough to make the move anyway. It was only through enduring that discomfort first that I would have been able to discover anything more. Without it, I never would have known that there was better for me out there than the dry heat of Arizona. A lot of money was spent. I’ve seen a lot of stress. Sure, but I’ve learned so much about myself in the process. There is better for you out there, too. You just need to have the courage to go after it regardless of the discomfort along the path. That pain you’re afraid of experiencing could not possibly be worse than the regret of finally opening your eyes at eighty years old and realizing you never truly tried. Most people don’t come anywhere near fulfilling their true potential. The reason is because of that fear of pain and discomfort. Not only that, but we know that it will take a lot of hard work; which is, on its own, uncomfortable for most. With my previous experience as an athlete, physique competitor, and personal trainer, I came to know many people who aspired to reach great goals with their bodies. The interesting yet sad reality, however, was that many of my peers failed to ever hit it big and win those beautiful, shiny trophies they craved. Worse yet, one of the reasons I quit my career as a personal trainer was similar. It was because most of my own clients never committed to doing what it took. Why? They were afraid of the work! One reason many people never get even close to a life of fulfilling potential is because their mind is sabotaging them. You might think that’s a weird thing to say, because your brain is part of you. It should have your best interests at heart, right? Well, yes, of course it should – and it does. Unfortunately, just like the tech support “expert” you spoke with, our brain can have good intentions but still get in our way. All of us have wants and desires. Then there’s the fight or flight instinct, or, in this case, fear and comfort; a primal part of our brain that only thinks about just that. We don’t always realize that decisions we make every day are so often based off of avoiding fear. When it’s not about that, it’s about seeking comfort or pleasure. One great starting point to find your potential is to set goals that really push you. 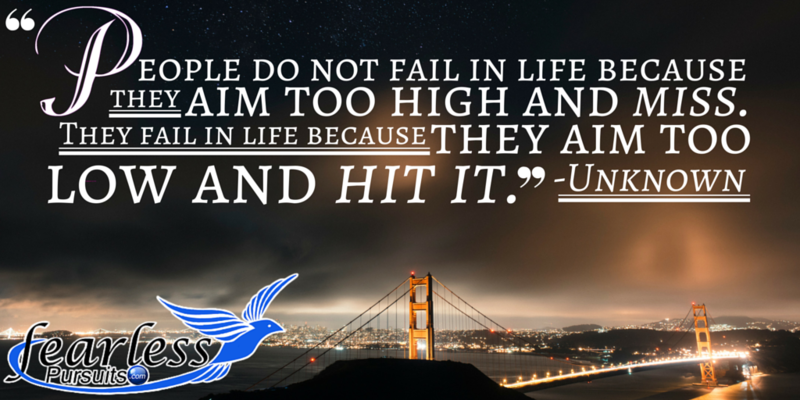 There’s no problem aiming high with goal setting. It’s impossible to dream too big, and anyone who has told you that it is probably thinks they’re saving you . They don’t want you to experience feeling like a failure if you don’t succeed. To find your potential means to aim for the stars without the fear of missing. Ask yourself this: What’s better? …or setting a goal to earn a million dollars and only getting to $900k? Some people think that if they miss a goal, they’re a failure. I can assure you, that’s nonsense! To never try is to fail. EVERY successful person fails. The difference that makes them successful? They learn from their mistakes, adjust accordingly, and begin again with new knowledge and insight. In an online coaching session, I’ll provide everything you need to feel confident and fired up to find your potential. I’ll help you gain the strength to let go of what you can’t change, then find the courage to commit to changing what you can. When you’re dedicated to doing what it takes to make hard work into a habit, only then will you be able to start growing again and find your potential!